Yesterday the San Diego City Council heard comments on the city’s Tourism and Marketing District. You might have heard about it in recent weeks, because it’s been the source of a lot of controversy down at City Hall. Very brief synopsis of the TMD controversy, in case you haven’t heard: Last year, the City Council approved a plan to allow San Diego’s private hoteliers to “assess themselves” an extra 2% transient occupancy “fee” in order to use as a collaborative effort to market San Diego– and thus their own properties–to the nation’s tourists. The deal handed the formerly public Convention and Visitor’s Bureau over to private control (the hoteliers), and would provide the hotel collaborative $30 million or more per year for the next 39 years. Suffice it to say that there are all kinds of problems with this new way of doing business, not the least of which is that it appears to be illegal, as in against California state law. Any tax hikes must first be put to a vote of the electorate. The hoteliers and City Council thought they got around this little annoyance by calling it a “fee,” even though the hoteliers themselves don’t pay it, and it shows up on hotel guest bills as a “tax.” To make a long story short, the City Council approved the plan with the full support of former mayor Jerry Sanders, and now the hoteliers, nay, TMD, wants its money. Sanders didn’t sign the final contract to put the plan into full effect before he left office, and now it’s left to Filner to do so. Only Filner refuses to sign it—and rightfully so, in my opinion—insisting that it’s an illegal tax. So now the hoteliers are suing for enforcement. Indemnify the city from any costs should the tax be found illegal by the courts. Goldsmith says that the contract already does so. Shorten the term to one or two years instead of 39 ½ years. The City Council is free to do this as a matter of policy. The hoteliers would then have to revote on the new terms. A living wage requirement, which the City Attorney says cannot be done as a part of the TMD (more on that in a minute). Before the City Council, supporters of the new TMD arrangement made some compelling arguments. They want to be able to promote tourism in San Diego, partly by embarking on a national advertising campaign like Los Angeles and Las Vegas have. The San Diego TMD had planned a series of ad buys in various markets in order to keep up with the Joneses, so to speak, and are depending on money from the new “fee” in order to fund it. Tourism is a major part of the San Diego economy, so it makes sense to go out and promote our fair city in order to attract as many visitors as possible. I don’t think that anyone is disputing that point. At least I’m not. The problem stems from the manner in which they intend to do it. Traditionally it’s up to the ConVis—a public entity—in conjunction with local business interests to promote San Diego as a vacation destination. But to hand the keys to the city’s finances to private interests with little to no oversight for 40 years? That’s ludicrous! To make matters worse, according to attorney and open government activist Mel Shapiro, Goldsmith issued an opinion last July that recommended the City Council not approve the agreement, determining at the very least that it was legally dubious. It seems to me that this should be an easily solvable problem, if only our public officials would decide to work together for the betterment of the city. Setting aside the apparently illegal nature of the agreement for a moment, Mayor Filner has expressed a willingness to meet the TMD proponents at least part of the way. We can start by shortening the term of the contract. See if it works, and if it doesn’t, we’re not locked into this ridiculous 40 year contract. If it does, it can certainly be renewed. There appears to be enough wiggle room to make everyone at least mostly happy, if only the powers that be would be reasonable and actually talk to one another. Filner may be a bit on the surly side sometimes, but he’s a reasonable guy who’s generally pretty open to sitting down at the negotiating table, even with people he disagrees with. Then there’s the matter of the living wage ordinance. Opponents of the idea insisted that it would cripple local businesses to actually have to pay their employees a decent wage, and would drive businesses out of town. It passed anyway, and exactly the opposite has happened. In fact, paying people a decent wage actually boosts the local economy. It should also be noted that the majority of the hotel owners who will benefit from this little agreement are owned by out of state entities, meaning the profits they earn in San Diego get shipped somewhere else, while the wages they pay their employees by and large get put directly back into the local economy. Since the TMD is touted as a public-private partnership, and further, since it’s likely that the courts will rule the “fee” an illegal tax, my question to Mr. Goldsmith is this: Why wouldn’t the current living wage ordinance as modified in 2008 apply to this contract as it does with any other service contracts with the City? Other than slightly cutting into corporate profits that don’t benefit the city directly anyway, sounds like everyone would win. The TMD gets their marketing money and thus gets to drum up more business, and the workers in the low wage tourism industry earn enough money to maybe actually be able to live in one of the more costly locales in the country. So memo to the City Council and the TMD privateers: Pull yer heads out and work with this duly elected mayor and do something for the betterment of the City of San Diego. The City Council should have learned its lesson by now that they can’t simply skirt the laws they don’t like. We’d all be much better off if they’d instead hunker down and find a way to work within it. Edit: I attended the City Council meeting yesterday, but did not stay ’til the end. Had a story to finish. But in watching the City Council comments online, Jan Goldsmith did identify the “Memorandum of Law” that Mel Shapiro brought up, and I’ve managed to find it. Here it is. I will read through it, but going by Goldsmith’s comments, there still seems to be a whole lot of questions as to whether the TMD assessment as written is legal or not, and whether protections for the city and the taxpayers are adequate or not. Edit 2: Note to Councilman Todd Gloria: If you’re tired of wasting taxpayer money on costly lawsuits, then stop supporting policies that are illegal in the first place. Doing your job right the first time is hard. We get that. But if you do it right, you will still get the policies you favor and it will likely not bring about these lawsuits you so abhor. Oh, and by the way: We elected the mayor, too, and he has a job to do too. It reads as a separate line item on each invoice as “Tourism Assessment”. There is a TOT tax that was built into the 10.5% TAX that reads on the guests folios. A percentage of that money was being allocated for marketing hospitality in San Diego, the TMD began because the city was unable to keep their grubby hands off of that money and began spending it on other things leaving no available funds to market San Diego. On the subject of a livable wage: this has nothing to do with the money set aside for marketing tourism in San Diego. If the City Council and mayor want to create a livable wage and increase the minimum wage in the city of San Diego similar to what San Francisco has done, great, do it. This has NOTHING to do with the San Diego Tourism Authority and should be managed separately. The fact of the matter is if the San Diego minimum wage was increased it would likely result in hotels in the market collectively increasing their rates (SF has some of the highest hotel rates in the country) as they attempt to keep their GOP margins up. But again, that should have NOTHING to do with the SDTA or the marketing monies collected. If this money isn’t released soon so the SDTA can begin marketing this fine city I’m afraid that San Diego not being front and center in travelers minds like Vegas and LA are (who hasn’t seen these LA ads on tv recently?!?). That combined with the upcoming sequester will result in big problems for the economy of this city. Less hotel revenues will result in less tax money for the city and layoffs/reduced hours for the associates that Mayor Filner claims he is so concerned about taking care of. Oh yeah Adam, why does this billfrom the Hard Rock Hotel 11/17/12 have a line item for “4.91 TMD Assessment- Tax”? and a majority of the hotels in the city didn’t even WANT the tax-that’s-not-a-tax. thanks to a “weighted vote” the mega-corporations votes counted more than your average hotelier. I wonder what all those tourism businesses that opposed the tax knew that we don’t? You found one hotel that is billing it incorrectly… congratulations. I’m not some big company hotelier on here defending the TMD. I’m a line level associate that has been working in the hospitality industry in San Diego for the better part of 8 years now. I am extremely worried about what the lack of marketing money combined with the upcoming sequester is going to do to the local economy as it relates to my job. I am a Democrat and consider myself very left leaning and I have never in my life, with the exception of this last mayoral election, voted for a Republican. But the bottom line here is mayor Filner and his actions are going to directly result in money out of my pocket. This isn’t a Republican/Democrat thing, Obama is the first US President to put an emphasis on US Travel and setup the Travel and Tourism Advisory Board, this is a Filner thing. And yes only 24.9% go towards marketing but you fail to mention that this money is also used to help put on the Rock n’Roll Marathon, the Holiday Bowl, and many, many other events that bring thousands of tourists to San Diego. This TMD “tax” as you like to call it never would have been an issue had the city not done such a crap job managing the monies in their general fund leaving none of the TOT tax, which is more than 2% higher than the San Diego sales tax, available for the purpose of marketing the city as it was prior to the TMD. Filner is not the person who gets to decide if this is illegal or not, this will be decided in the courts. For the time being the money needs to be released as ultimately if this is determined illegal it will be the hotels that will be on the line to repay the monies. Look, all things being equal, I’m all for a TMD. But it has to be done right with the proper accountability. Goldsmith says it’s all there in the contract, but for some reason–given his recent track record–I’m having a hard time simply taking his word for it that the protections are adequate. Do the TMD. Advertise to your little heart’s content! 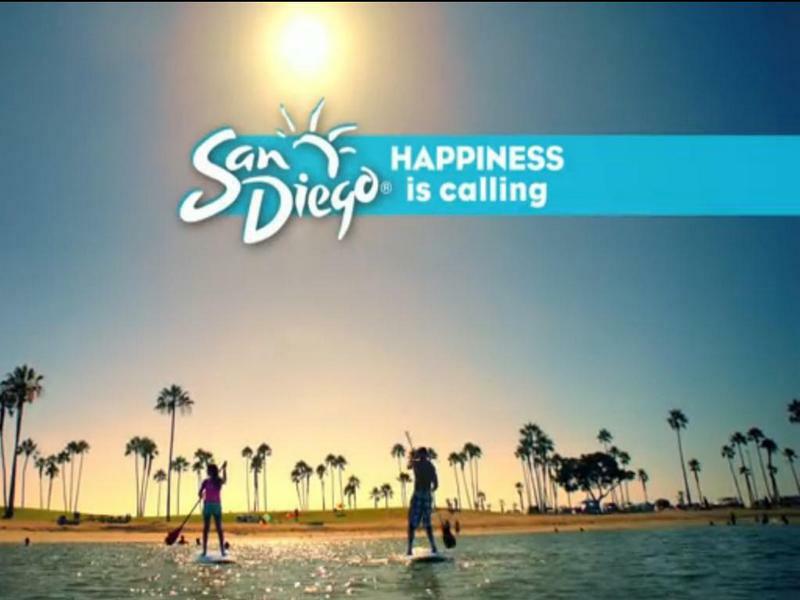 I’d love to see ads for San Diego appear throughout the country. That’s not the issue. The issue is the methodology that funds the TMD. Shady doesn’t even begin to describe it. There’s a will to do the TMD and to market SD tourism. On both sides. So do it! Just do it so that it’s balanced and doesn’t heavily favor the big hoteliers that are going to take their profits and run anyway. And Adam: I’m going to have to re-read the LWO, but it’s my understanding that any entity that contracts with the city to provide services that meet certain thresholds are subject to the Living Wage Ordinance. That would seem to apply here, since this is a contracted public-private partnership. Which is why I’m confused by Goldsmith’s statements and why I’d like that little question answered. And to Todd Gloria’s credit, he did bring up in his comments a willingness to look into the LWO issue as it pertains to the TMD. So at least he got something right here. Let me get this straight. It’s not a question of spending the 2% on marketing San Diego. It’s a question of who’s going to do it – ConVis, a public entity, or the TMD, a private entity. It’s another example of the privatization of public functions. If anyone has a problem with how ConVis has handled it in the past, let the City Council discipline them or restrict what they can spend the money on. Why does this have to be about whether the 2% tax is legal or not. Why can’t it be about whether ConVis or the TMD should get their hands on the money in the first place. Here’s a thought… How about we start running this town legal ‘n proper. JL: “It’s a question of who’s going to do it – ConVis, a public entity, or the TMD, a private entity.” Clarification for you lies in this question. . . what, when, where, how & why was TMD set up as it was? Not to worry, we have a Mayor that is governing in the public interest, which includes working with private enterprise as KB said “legal ‘n proper”. Thank you for this article Andy.